People in the Highlands are being urged to take up the offer of free nesting boxes by The Highland Council to provide homes for visiting swifts. Results from a Highland Swift survey carried out in 2006 found that one of the factors affecting Swifts is a loss of nest sites due to refurbishment and repair of old houses. To try and minimise the effect of this, sixty Swift nest boxes have been built for this year’s swift survey. Householders in key Swift areas are being invited to install a box on their houses. Jonathan Willet, Highland Council’s Highland Biodiversity Officer said: ”For swifts its all about location, location, location. As Swifts nest in particular areas and like the company of other Swifts, we would like boxes to be put up in towns that already have Swifts residing there. These key locations identified by the swift survey are Fort William, Fort Augustus, Drumnadrochit, Cannich, Beauly, Cromarty, Garve, Nairn and all the larger towns up the east coast starting from Inverness to Thurso. The boxes are free and can be picked up from the Highland Council Ranger Offices in Fort William, Lairg, Wick and the Highland Council Headquarters on Glenurquhart Road in Inverness. 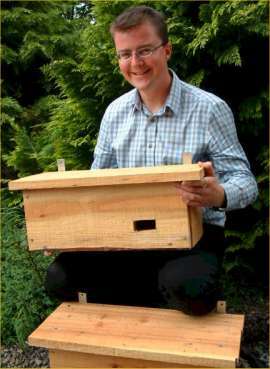 Boxes will be available on a first come first served basis to those living in areas where Swifts are already nesting. They are available to pick up from the Glen Nevis Visitor Centre tel:01397 705922, Caithness East Ranger, Wick tel: 01955 607758, Ferrycroft Visitor Centre, Lairg tel: 01549 402638 and Highland Council HQ, Inverness tel; 01463 702274.